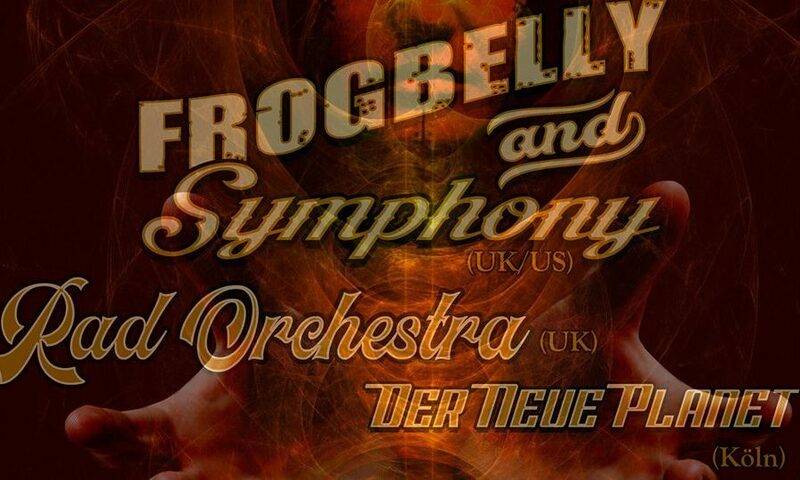 Frogbelly and Symphony @ Barinton // Aftershowparty!! 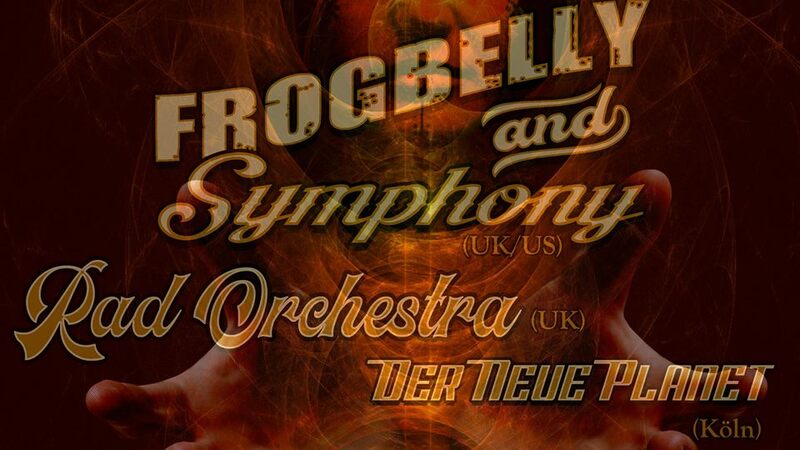 Frogbelly and Symphony @ Barinton // Aftershowparty (DJ)!! piano, guitar, bass and drums. The band covers a wide dynamic range from rough‐edged punk rock to acoustic music and folky tunes. Over the years their trademark has become an eclectic show of stage drama and interaction. ument from Mali), violins, viola, acoustic/electric guitars, mandolin, electric bass and percussion. Der Neue Planet is an instrumental rockband from Cologne. Since 2015 the band developed their own distinct style which combines complex and progressive song-structures with atmospheric soundscapes. Dreamy melodies contrast with oppressive riffs and multi-layered rhythms. On their demo-ep (2016) the band merged post- and stoner- rock elements. The debut album „Magrathea Erwacht“ has a stronger focus on progressive and funky elements. This results in a varied and dynamic mix which convinces especially at their live shows. Kommentare deaktiviert für Frogbelly and Symphony @ Barinton // Aftershowparty! !